The crew is having a viewing party and YOU are invited so fire up your VCR’s (or youtube) and watch the show alongside with the likes of “Boss Hoss” John Morgan Neal, “The Indy Darling” Richard Ewell, and “The Rated R Podcast Star” Jonathan Williams from Wrestling With Pop Culture and good friend of the show “Scary” Jerry Chandler. The fella’s watch NWA/WCW 11/16/1985 which is most famously known as the debut of The Four Horseman. 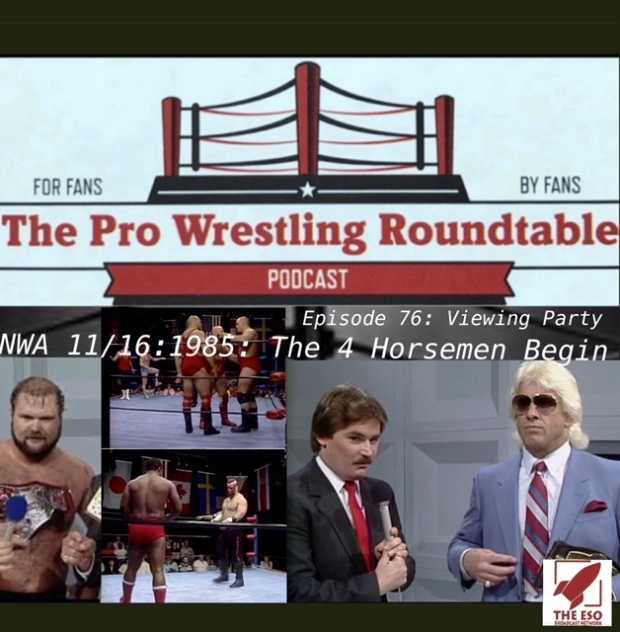 There are some squash matches and questionable haircuts and mustaches in this exciting epiosde of The Pro Wrestling Roundtable.